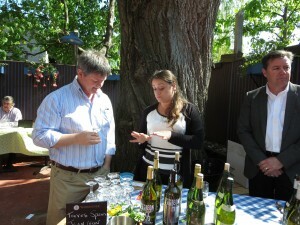 Yesterday I was down in Niagara-on-the-Lake for my second round of Taste the Season. Like last week, a girlfriend and I made a day of it. Also like last weekend, our first stop was less than inspiring. I was looking forward to stopping in at The Lakeview Wine Company because it’s been awhile since I was there and they re-built the tasting room. (It used to be a modified construction site trailer that they inherited when they bought 20 Bees Winery.) The new building is quite spectacular and worth seeing, especially if you remember their previous digs. Gnocchi at Lakeview Wine Co. Unfortunately, the Taste the Season pairing was not as exciting as the new building. In fact, the butternut squash gnocchi was a bit of a disaster, despite the effort. The caterers had set up a lovely prep station and they were sautéing the mushrooms and carefully plating each with a lot of love. Lakeview chose a nice wine to pair the gnocchi with – their 2016 FRESH Riesling Gewürzt blend. The crisp, refreshing wine was quite nice – and very reasonably priced ($12.95) – but the gnocchi was hard (you had to stab it with a fork to pick it up). Disappointing, to say the least. But, there were plenty of other places to try, so I was sure the day would improve. My plan was to visit wineries on or near Niagara Stone Road – the highway that runs through the heart of the region. 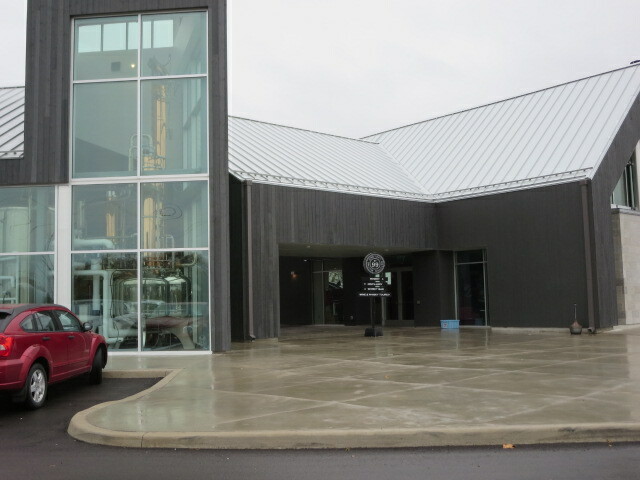 So, our next stop was Wayne Gretzky Estates Winery and Distillery. Though it opened earlier this year, I hadn’t yet stopped in. The Gretzky brand is part of the Peller family of wines and it’s been around for a number of years, but the venue is new. Also new is the addition of a line of whiskys. 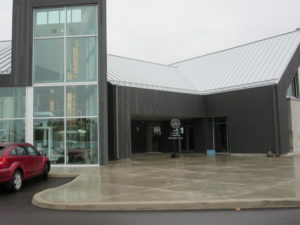 The winery is a two-winged expanse situated on a can’t-miss-it location along one edge of one of the (newish) traffic circles on Niagara Stone Road. Everything about it is designed to impress. The first thing you notice as you walk up to it is the beautiful copper and stainless steel still that’s visible through the two-story window in the front of the building on the left. Our guess was that the Taste the Season event was going on in the other building. But, before going in, I wanted to poke around toward the back, to see the buildings from a different perspective. As for the Taste the Season offering at Gretzky’s – well, they were serving their 2016 No. 99 Baco Noir ($15.95) paired with white bean, smoked paprika and ham hock cassoulet. 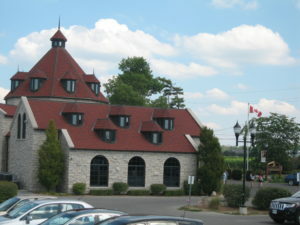 Apparently, the cassoulet was prepared by the well-known restaurant at Trius – one of the other Peller wineries. As the server was getting ready to serve us, she made sure to mention there was bacon in, asking us if we were ok with that. Sadly, the bland white bean soup they served bore no resemblance to cassoulet. I couldn’t believe it was from Trius’ well-known restaurant. The wine was alright, but nothing to write home about and certainly no way to know whether it would pair well with real cassoulet. Our next stop was Pillitteri Estates Winery – one of the few places featuring dessert. 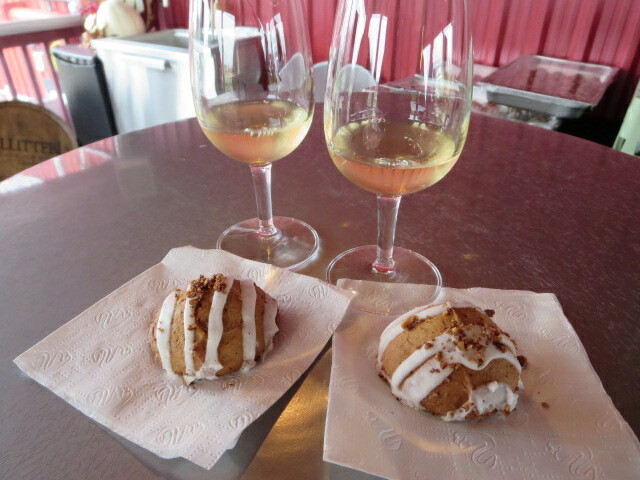 They were serving a cinnamon candied pecan crusted pumpkin cookie paired with their 2015 Canada 150 Select late Harvest Vidal. 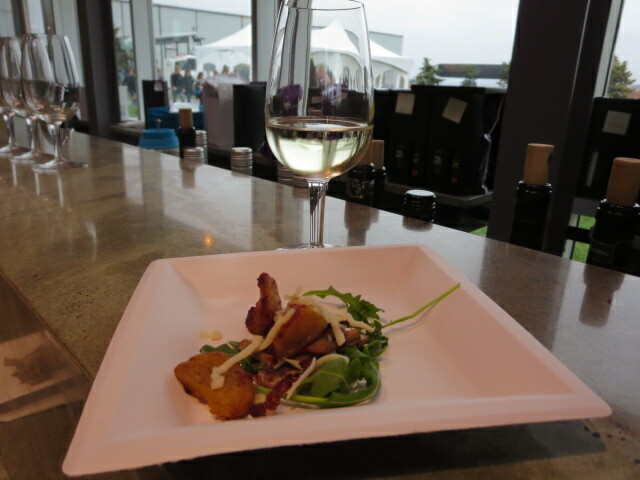 Though I didn’t much care for the texture of the cooking, the wine was terrific and it paired well. 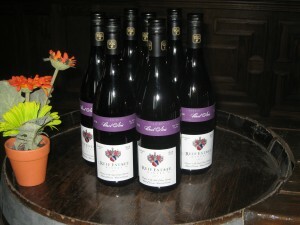 The wine is an exceptional late harvest and a terrific value ($15 for 200 ml). Of all the wines I enjoyed as part of the 2017 Taste the Season event, I think this wine offered the best value and would make a great gift for anyone who enjoys a dessert wine. I was keen to stop at Stratus Vineyards, which I generally think of for their reds, because they were featuring their 2015 Stratus Weather Report Chardonnay ($28.00) paired with “Fat Chance” smoked salmon. After the exquisite salmon-based appetizer at Trius, I thought the simplicity of the Stratus pairing might be a bit of a let down. I could not be more wrong. 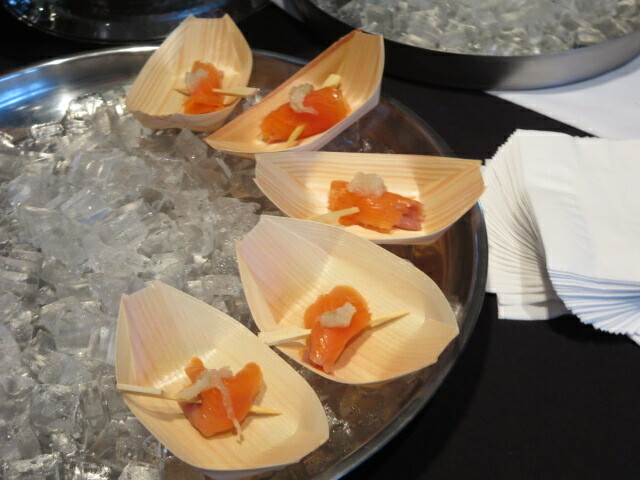 The buttery, melt-in-your-mouth salmon and the light oak of the Chardonnay proved the best pairing of the day. Another reason the pairing was so inspired is it actually represents something simple enough that all of us could serve our guests. Hats off to Stratus for the pairing – and for spreading the word about Imant Malins’ Fat Chance salmon, which is locally-sourced. The Wineries of Niagara-on-the-Lake provided me with two passes to the month-long event. As I’ve said before, I think the passport programs are a terrific idea and a great value. They’re brilliant because you can visit 25 wineries per passport and you have the entire month to use them. Also, they’re fully transferrable so you can share them with different friends. There’s one more weekend to enjoy Taste the Season. If you don’t have a chance to get out next weekend, mark your calendar for February – they’ll be running the Days of Wine and Chocolate. As a friend mentioned the other day, November is kind of a buffer month – it’s a time to re-charge before the busy holiday season and, for many of us, time to start to think about what we might serve – both in terms of food and wine – at our holiday get togethers. With all this in mind, the Wineries of Niagara-on-the-Lake have a holiday tradition called “Taste the Season” – it’s one of their popular passport programs and it runs every weekend (Fridays through Sundays) in November. 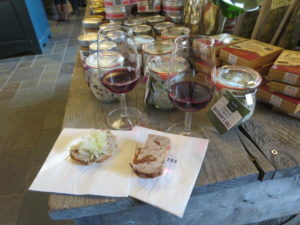 I was given two passes to the event by the tourism folks and a girlfriend and I spent Sunday popping in to different wineries to sample their food/wine pairings. It was a dreary day, which might be why most of the places we stopped in at were not overly busy. Mind you, that was great as far as we were concerned because it meant more of an opportunity to speak with the folks at the wineries about the recent harvest, and about the wines and food. 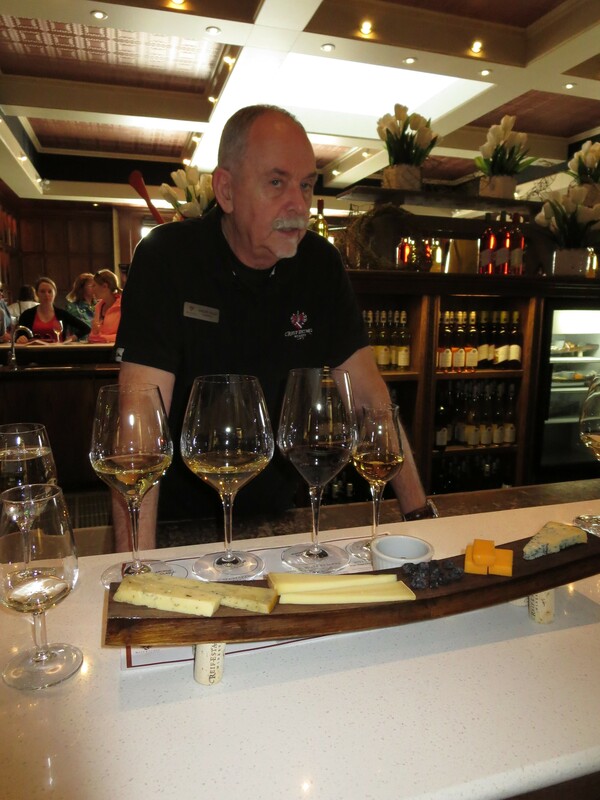 Our next stop was Ravine Vineyard Estate Winery – always one of my favourite spots. 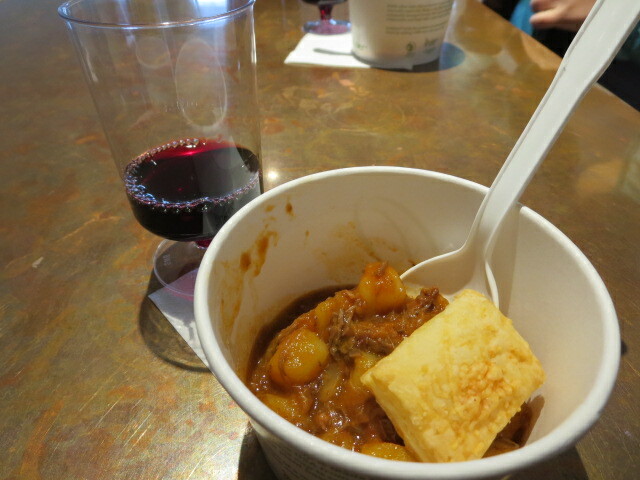 The served their 2014 Sand & Gravel Redcoat ($18.95) paired with a beef stew with a parmesan pastry. I was surprised when they served the wine in a plastic throw-away glass, but I figured it’s because of the numbers of people that come through for the tasting. The server – clearly concerned about the presentation – gave us a card offering a complimentary tasting flight at the tasting bar where, he assured us, “they use proper glassware”. We promptly went over to the other room and one of the wines I chose to (re)sample was the Sand & Gravel Redcoat. I’m glad I did – though I enjoyed it well enough in the plastic cup, in a real glass is was quite nice. In fact, that’s the wine I ended up purchasing. Another stop we made was Marynissen Estate Winery. 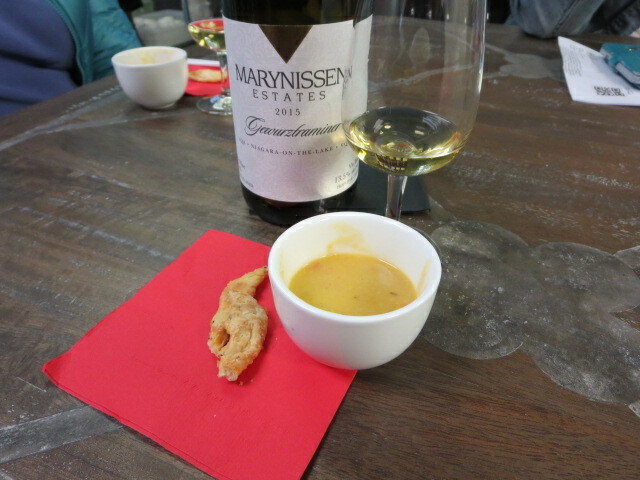 They were serving a 2015 Gewürztraminer ($16.00) with a warm corn and red pepper bisque. The server made a point to tell everyone that it wasn’t a particularly sweet Gewürzt – I guess many folks are put off Gewürzt because they associate it with sweetness. I didn’t care much for the wine – I actually found it a bit too dry for – but the soup was delicious. Indeed, when we were re-capping the day, my friend and I agreed that the soup was our favourite of all the food samples. Our last stop was Peller Estates. They were serving their 2016 Private Reserve Gamay Noir ($19.95) with a smoked pork and duck terrine. That pairing a true standout. The wine on its own was light and refreshing (as you’d expect from a Gamay) and it balanced the richness of the terrine quite well. (It was my friend’s favourite wine of the day, by the way) Also, there was a young chef (I’d guess a chef-in-training) serving the terrine and he happily answered my questions about the difference between terrines and pates. It’s opportunities to speak with folks from the wineries that are familiar with food and wine that make these events really enjoyable. 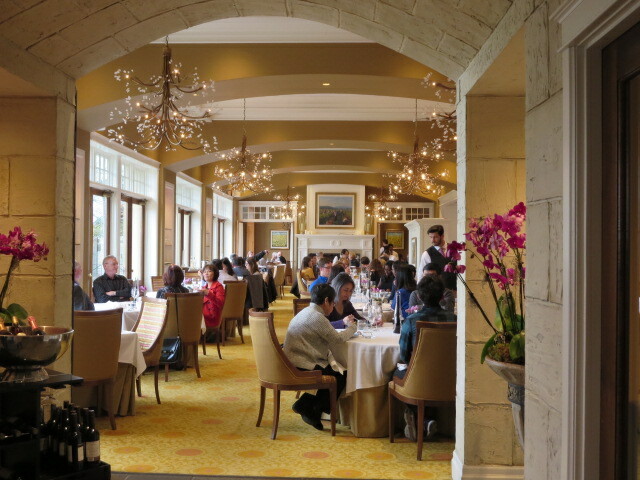 We ended the day with a long, late, relaxing lunch as the Restaurant at Peller Estates, which was lovely. If all goes according to plan, I will be headed down to Niagara-on-the-Lake next weekend with another girlfriend to see what some of the other wineries are up to. Stay tuned – or better yet – head out with some friends and enjoy Taste the Season yourself. 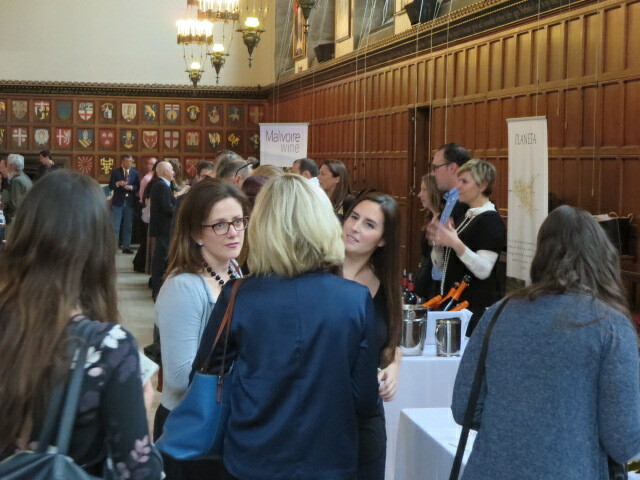 Noble Estates Wine & Spirits, a wine agent here in the Toronto area, hosted a fantastic event in Toronto a couple weeks ago: Celebrating Women in Wine. 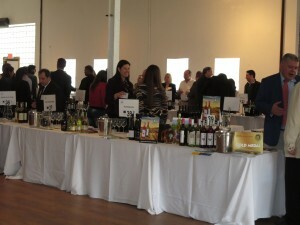 The event featured women from 20 wineries around the world. The list of women was impressive – there were owners, winemakers, enologists, and women who hold important behind-the-scenes functions that no modern winery can do with out: positions related to sales, marketing, and export. Though many attendees were there primarily to taste the wines, I saw it as a rare opportunity to chat with a bunch of incredible women who are driven by hard work and a love for wine. The first woman I spoke with was Emanuela Stucchi Prinetti, Proprietress of Badia a Coltibuono, a winery in Siena, Tuscany. Though she grew up in Milan, the winery has been in the family for 170 years. In the 1980s she began doing marketing for the winery and she now manages it, with her brothers looking after sales and the restaurant. Since I was unfamiliar with Badia a Coltibuono, I asked whether it’s the type of winery that’s considered a destiny. In a wonderfully modest fashion, Emanuela indicated that the winery, which used to be an abbey, is very much a destination, with rooms, a restaurant, and even a cooking school. When I asked her how the cooking school came about, she explained that her mother was a “food writer”. When I asked what that means, she explained that her mother was a well-known cookbook author who also had a cooking show on PBS for a time. Indeed, it turns out her mother is Lorenza de Medici, author of over 30 cookbooks. In terms of their wines, Emanuela described their Chianti as a wine that “shows the history of Chianti” – and with the pedigree of the family and the winery, it’s hard to argue with that! I then went in search of Beth Nickel, Proprietress of the famed Napa winery Far Niente With the recent news of the devastating fires in California, the first question was about the fate of their winery and vines, and of the general region. She said a few wineries were damaged, but theirs were not. She also affirmed reports that the vineyards proved to be a natural defense to the fires because the vines hold so much moisture. Nonetheless, she showed photos and said it was a frightening experience and she and her family were evacuated for 10 days. Beth and her husband Gil launched Far Niente in the late 1970s and I thought I read that they had just sold it. She explained that they took on a new partner last year, but that they are still very much involved. She was especially excited to talk about their Nickel & Nickel wines, which are all single vineyard. Marta Casas, winemaker of Parés Baltà , a winery outside Barcelona, had an interesting story too. It turns out she and the other winemaker there married into the business. Marta is married to Josep Cusiné and Elena Jiménez, the other winemaker, is married to Joan, Josep’s brother. Together, the brothers manage the winery. Marta, who began her professional career as a pharmacist, was always interested in wine and she eventually decided to go back to school to study it. I’m not sure when exactly she and Josep met, but clearly their common interest in wine must have played a part in them being together and working at Parés Baltà. Given that Barcelona’s been in the news lately as well, I took the opportunity to ask Marta about it. She confirmed that things are a bit tense now, and they don’t know what the future holds. 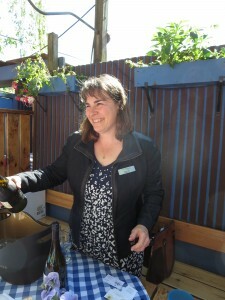 But, she was much happier to talk about winemaking and about the fact that their winery is organic and biodynamic. One of her wines – their Cava Brut NV – which is made of the classic Catalan blend of Parellada, Macebeo, and Xarel-lo, was one of my favourites at the event. Barbara Widmer, owner and winemaker at Tuscany’s Casa Brancaia, was there pouring her “super Tuscans” – basically Bordeaux-style blends that feature Sangiovese and other grapes that are not indigenous to Italy. Her TRE, named because it’s a blend of three wines: 80% Sangiovese with a mix of Merlot and Cab Sauv, was lovely. Widmer, who doesn’t look or sound Italian, is, in fact, from Switzerland. Her parents bought the property and started the winery in Tuscany while living in Zurich. Having summered at the winery while growing up, Barbara realized she wanted to be in the business and in she took over winemaking there in 1998. The wine business – especially when it comes to Old World wineries – is often a family business. So, it’s not surprising that some of the women I spoke with had family connections. But, that doesn’t mean their entrée into the business was a snap. Indeed, the story of Françoise Antech, Proprietress at Antech Limoux, is an example of the fact that even within a family, women can face barriers. Though her grandmother had been involved in the winery, when she expressed interest in working in the family business, her father discouraged her. So, she made her way in the world, working in the perfume business for many well-known French firms. Eventually, with enough business experience behind her, she reasserted her interest, and the rest is history. Since 1996 she has worked alongside her father and uncle at the estate that specializes in sparkling wines. I’m very pleased to note that the event also featured a few women from the Ontario wine scene: Elisa Mazzi, who has been assistant winemaker at Malivoire for seven years, and Beth Whitty, Proprietress of 13th Street Winery. I am embarrassed to say that though I’ve frequently visited both these wineries, I had not met either of them. I promised both that at a future visit I’d speak with them at length and write about their journey through the wine industry. In closing, I just want to say hats off to Mark Coster of Noble Estates Wine & Spirits. I understand he played a big role in putting this event together. It is a terrific idea and one that I hope is repeated and perhaps grows, celebrating more women in wine. A new version of PB & J? 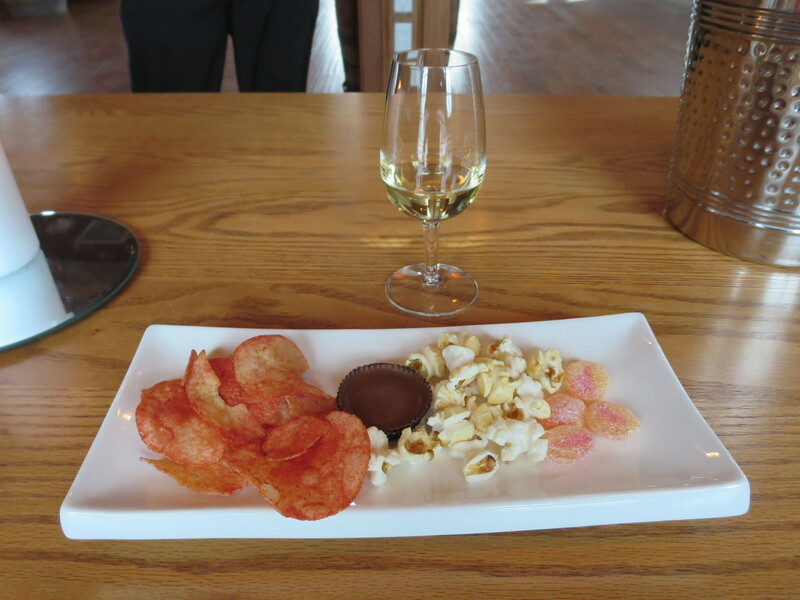 The folks at Konzelmann Estate Winery invited me to visit during Days of Wine and Chocolate. Joanne, a friend from Hamilton, had never been to Konzelmann and she was happy to play hooky with me one Friday. Because I’ve always found tutored tastings fun – and a great way to really experience a winery – I checked on-line to find out what activities Konzelmann offers. I was expecting to see the usual – a tasting flight perhaps with some cheese. I was tickled when I saw they have a Junk Food Pairing. It sounded fun, so I booked it. We didn’t know what to expect, especially given that one person’s junk food may be another person’s dietary staple! The tasting was upstairs in a cozy, wood-panelled loft room. Ken Dubois, who led the tasting, ushered us to the table where the tasting was set up. At each place setting was a plate with four different junk foods: ketchup flavoured potato chips, Reese cups, kettle popcorn, and fuzzy peach candies. 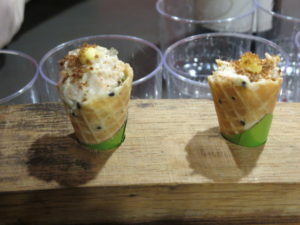 Before we started, I asked Ken how they came up with the idea of a Junk Food Pairing tasting. He explained it all started as a bit of a game among winery staff. They’d bring in some food they like, or had on hand, and they’d have a competition to figure out what wine might pair best with it. Chips and popcorn – things you and I might serve with some wine – were too boring for some staff members. Ken’s favourite was when someone brought in Fruit Loops. Given that Konzelmann produces over 30 different wines, I can imagine the challenge – and delight – of trying different combinations. They had so much fun with it, they decided to turn it into a proper tasting. Here’s a short video of Ken talking about the genesis of this unique tasting. Ken started us on a lightly oaked 2015 Chardonnay Reserve with the kettle corn. The light butteryness of the Chardonnay complimented the light sweetness of the kettle corn. Next, he poured us some of their 2015 Canada Red – it’s a Zweigelt/Cab blend. That was paired with the ketchup chips. For me, that was the first real Wow! 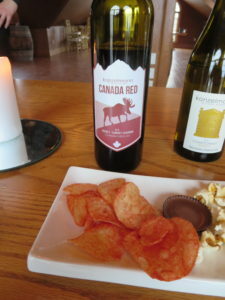 The wine transformed the tangy vinegary flavour of the chips into something mildly sweet. Ken poured us their 2015 Pinot Noir (1) and invited us to try the Reese cup with it. The effect was quite unbelievable. Seeing that I was struggling to describe the taste, Ken smiled and said, “Kinda like a peanut butter and jelly sandwich, isn’t it.” That was EXACTLY it! Quite amazing. The last pairing was the fuzzy peach candy and their 2015 Peach Wine. That was my least favourite pair because I don’t really like that kind of candy. I’ve had Konzelmann’s Peach Wine before and it’s lovely – I’d pass on the candy and just enjoy the wine. I knew the tasting would be fun and I expected it would demonstrate how a wine can complement a food – like the Chardonnay/kettle corn pairing did. 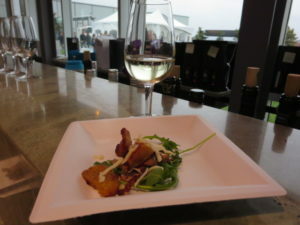 What made the tasting especially interesting, however, was the chance to experience how wine can actually transform the taste of a food, creating a whole new taste sensation. I left the winery with a bottle of the Canada Red and the Pinot Noir (1), determined to recreate the unique pairings with some friends. Click here to see a short video of Ken describing the idea behind the Junk Food Pairing. 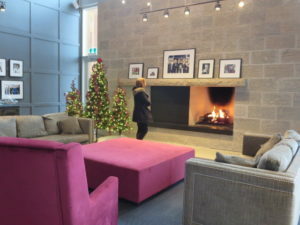 A friend and I headed down to Beamsville for a wine and cheese tasting at Tawse Winery. I booked the tasting about a month ago and was really looking forward to it. It was only $10 and I thought it would be a great excuse to get together near the holidays and an opportunity to do something different. Unfortunately, two days before the event, something came up so my friend had to cancel. She felt bad because she felt she had stuck me with an extra ticket. I told her not to worry, as I was quite sure I’d be able to find someone else to go with me — even on short notice. I was right. I phoned another friend and she was only too happy to fill in. It’s unseasonably mild here, so we left early, figuring we’d make a few stops before the tasting. 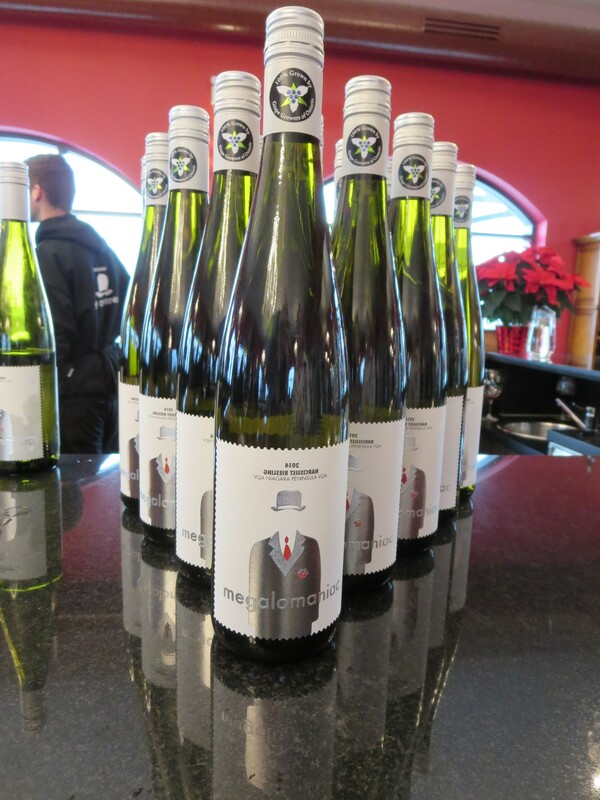 Megalomaniac is just up the road from Tawse and the last time I was there, they were expanding their retail premises, so I wanted to stop and see the new digs. Boy was that a great decision! Turns out, they are hosting a Holiday Open House this weekend. 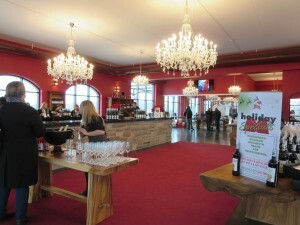 They had different tasting stations set up throughout their huge tasting room and it was all complimentary. Guests start with their Bubblehead — it’s a traditional method sparkling Pinot Noir. 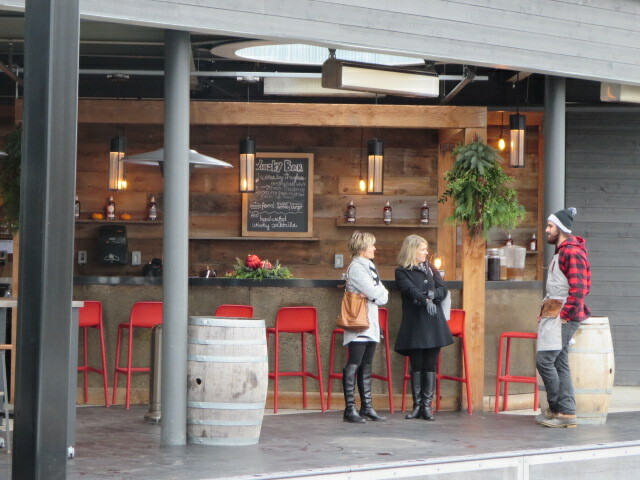 Then they directed us to their main tasting bar for their reds — four regular and two premium reds. (My favourite was their 2012 Big Mouth Merlot.) Then it was on to whites, and even a few icewines. In total, 11 wines were available for tasting. As an added bonus, they were offering specials if you bought two or more bottles. If you’re on any winery mailing lists, no doubt over the past few weeks you’ve been getting notices about holiday promotions (lots of free shipping, which is especially nice if you’re doing a lot of entertaining over the holidays) and holiday open houses. I hadn’t really thought about making time to stop in at any — until today. Now I realize that besides avoiding the crazy mall parking lots, the open houses are a lovely way to get into the holiday spirit. It’s relaxing and a great chance to find some wonderful wines to serve your guests this holiday season or to give to those on your list. The 2015 Ontario Wine Awards were announced earlier this month. 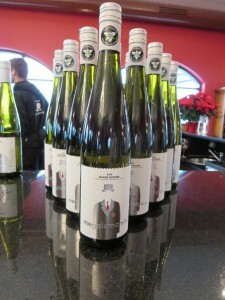 The OWAs were started by Tony Aspler in 1995 to showcase Ontario VQA Wines. 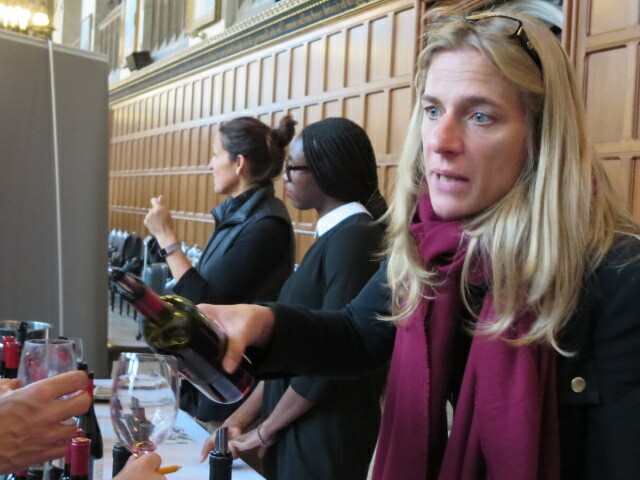 There are 25 different categories judged and this year 79 Ontario wineries entered. 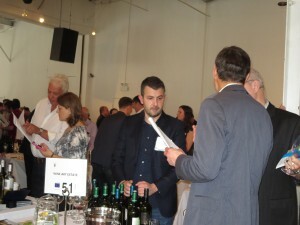 In addition to the separate categories they choose an overall red and white wine of the year, as well as naming a winemaker of the year, a label design category, and a wine journalist award. In the food and wine world, there’s a lot of talk about food and wine pairings. For those less into the food and wine scene, such talk can cause serious eye-rolling. I’m not particularly ridged about trying to match foods and wines. I listen to the experts and take their suggestions under advisement, but I don’t slavishly follow any “rules”. Indeed, to me part of the fun of wine tastings that have food components is to try different wines with the cheese or the oysters, or olives, or whatever is being served. That said, this afternoon at a New Wines of Greece tasting I had the chance to find out first-hand how some foods can absolutely ruin your palate, causing very lovely wine to seem awful. Akis had another white that he was pouring – their 2014 Techni Alipias White, which is 80% Sauvignon Blanc-20% Assyrtiko. He poured me a sample and when I asked him which of the two whites he preferred, he said he prefers the Alipias White. So, I was anxious to compare the two. I hadn’t yet tried the Alipias when a server came by and offered a lovely-looking deep fried artichoke heart. As soon as I took a bite, I realized that though I love artichokes, they are not a drink friendly food. Their high iron content has a way of taking over your taste buds. As I swallowed, I apologized to Akis, as I suspected that given what I had just eaten, I probably wouldn’t enjoy the Alipias. Unfortunately, I was right. After that little morsel of artichoke, I could not enjoy the wine at all. Embarrassed, I promised I would return when my palate had cleared a bit. A group of a dozen Ontario wineries have banded together into a group they call Somewhereness. The name is meant to invoke the idea of the special qualities attributable to terroir and the wineries in the group pride themselves on their stewardship and quality. The wineries in the group are: 13th Street Winery, Bachelder, Charles Baker, Cave Spring Cellars, Flat Rock Cellars, Hidden Bench, Hinterland, Malivoire Wine, Norman Hardie, Southbrook Vineyards, Stratus, and Tawse. The group has done a good job of promoting to restaurants and if you notice one of them on a wine list, it’s likely you’ll see other Somewhereness wines on the list too. 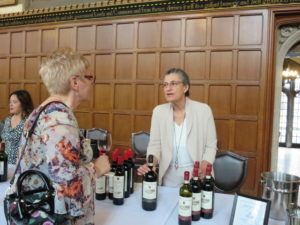 The group had a trade tasting in Toronto recently and, in addition to many of their best known wines, there were a few surprises. The most unusual offering was a new wine produced by Southbrook Vineyards called: 2014 Small Lots Estate Grown Orange Wine. Nope, that’s not a typo. The wine, which is to be released in May, is, in fact, a light orange colour with a distinct un-filtered haze. (It looks more like a very light beer than a wine.) It’s made of 100% Vidal and it is made with whole clusters of grapes. Rather than try to describe it, here’s a video of Paul DeCampo, Southbrook’s Director of Marketing and Sales, explaining how it was made. In terms of premium-priced wines, my favourite was the 2012 Bachelder Wismer Chardonnay ($44.95). 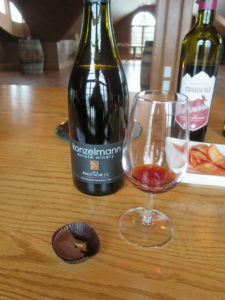 One of the biggest surprises for me was Cave Spring Cellars’ 2012 Pinot Noir Estate ($34.95). Cave Spring Cellars is so well known for its whites, it’s easy to overlook their reds. Don’t. If you’re a fan of Pinot Noir, give this a try. The 13th Street 2012 Pinot Gris ($19.95) was very nice – well balanced and crisp. I love bubbly and I was wowed by Tawse’s 2103 Spark Limestone Ridge Riesling both in terms of taste and price ($19.95 and available at Vintages). It’s made using the traditional method and it’s definitely something that fans of sparkling will enjoy. 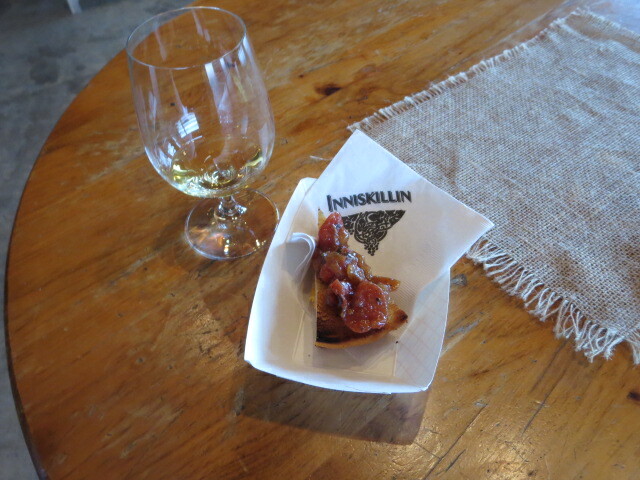 And finally, an Ontario wine tasting wouldn’t be complete without a dessert wine. 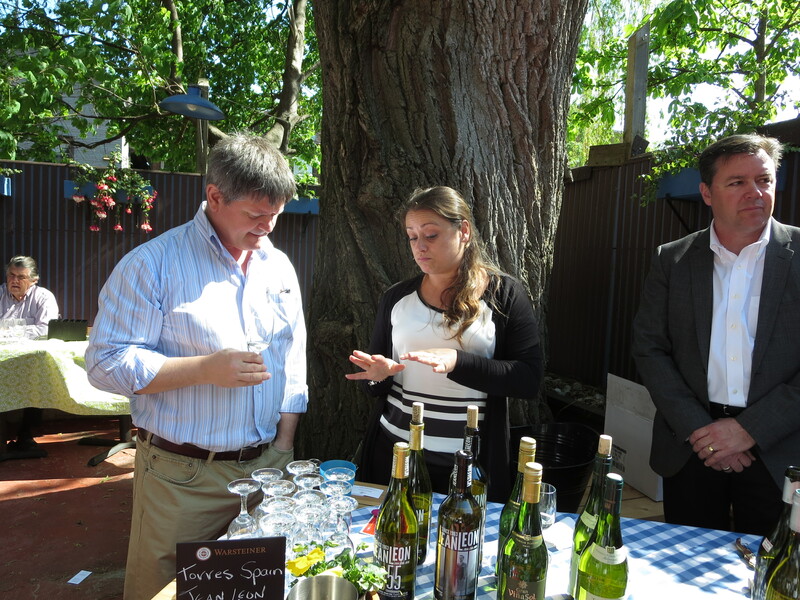 The biggest discovery at the dessert wine table was 13th Street Winery’s 2013 13 Below Zero Riesling. It’s a blend of 40% Riesling icewine and 60% off-dry Riesling. At $19.95 for 375 ml. it’s a bargain! Depending on who you ask, International Chardonnay Day is either always on a (late) Thursday of May (like Beaujolais Nouveau is in November) in which case it’s May 22 this year), or it’s on May 23th each year. Why quibble? I say celebrate it both days! 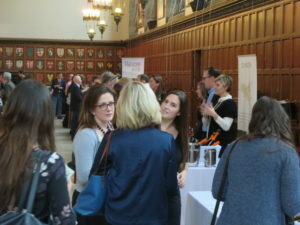 Anyway – in celebration of International Chardonnay Day and in anticipation of the International Cool Climate Chardonnay (i4C for short) celebration in July, some of the wineries that’ll be participating in i4C held a “pop-up” tasting in Toronto today. This year 58 wineries from around the world will be at i4C and of the handful of wineries at today’s event, there wineries terrific examples from South Africa, France, Spain, Argentina, Chile, and Ontario. I have to say, the differences – some subtle, some quite distinct – was remarkable. I’ve always thought that one of the best ways to learn about a varietal is to try different examples of it – and at i4C you’ll be able to try Chardonnays from cool climate growing regions around the world. Can’t wait! i4C runs from June 18-20, 2014. Information about the events happening over the three days (and ticket information) can be found at: coolchardonnay.org. 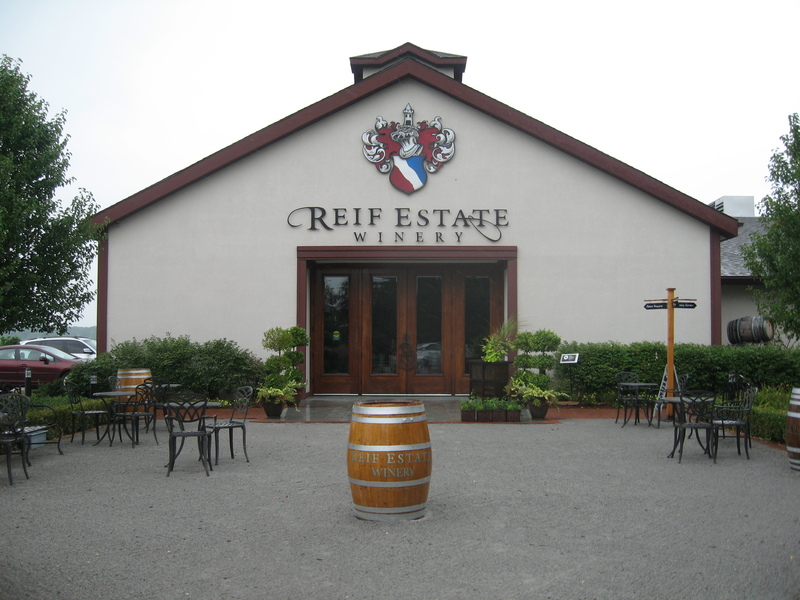 As I noted recently, last Saturday a girlfriend and I were taking in Sip & Sizzle and one of our stops was Reif Estate Winery. 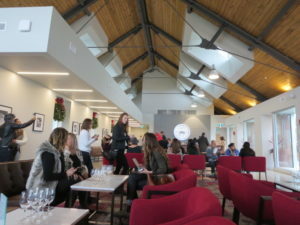 The winery was hopping but the tasting room/retail area was large enough to handle the crowd, and they had plenty of knowledgeable staff on hand. 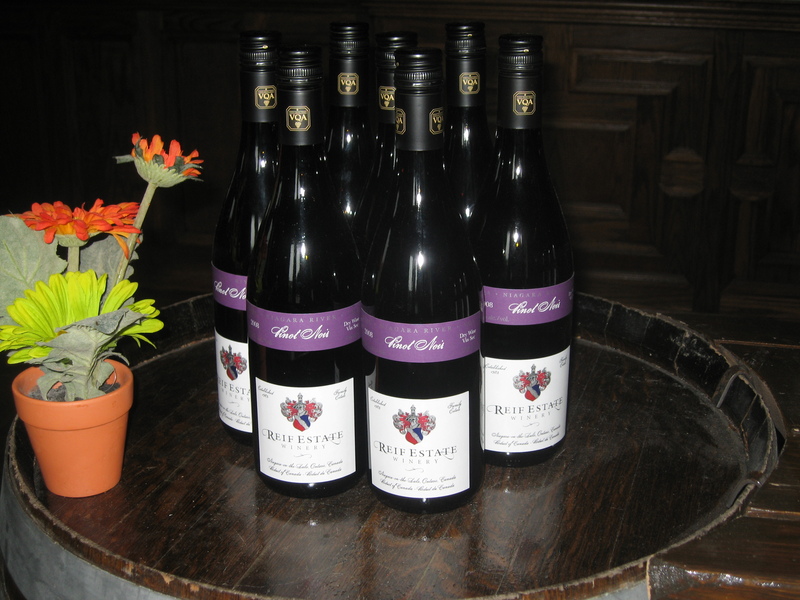 To round out our day, we had booked a formal tasting with Archie Hood, one of Reif’s sommeliers. I’ve had the pleasure of being guided by Archie on a tasting at Reif before and I thought my friend would enjoy it. 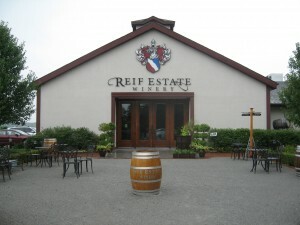 Reif has a few different tastings to choose from and the one we were doing was Taste the Terroir. The formal tastings are set up on the back side of the tasting bar, which is nice because you have a bit of privacy to chat with Archie, but at the same time you have the relaxed buzz of people enjoying the winery. 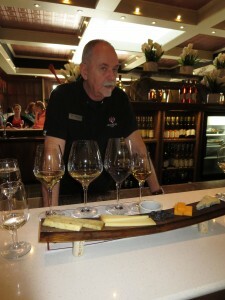 Archie started by explaining that we’d be sampling four wines paired with four different Ontario artisanal cheeses. 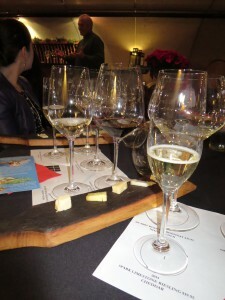 The wines – the 2010 White Meritage (paired with Mountainoak Wild Nettle Gouda), the 2011 Chardonnay Reserve (paired with Gun’s Hill Farms’ Five Brothers, which is kind of a gouda/Swiss blend), the 2010 Merlot Reserve (paired with Thornloe Cheddar), and the 2012 Vidal Icewine (paired with Glengarry Celtic Blue Reserve) – were chosen because they’re representative of the terroir on which Reif’s grapes grow. Archie gave us very specific instructions about the process he wanted us to follow in terms of tasting the wines and then the cheese – I’m not talking about the usual directions about holding up the glass and looking at the colour, then swirling it to open the bouquet, then smelling the nose, and so on. First we were to take a sip of the wine. Then we were to take a nibble of the cheese, chewing it for about 10 seconds. We were to then leave the cheese on the roof of our mouth and then take another sip of the wine, noting how the taste of both had transformed. I don’t mind telling you I found the process a bit challenging and it took me a few tries before I got the hang of it. (My friend either fared batter, or was too embarrassed to admit finding it tricky.) As we proceeded through the flight, Archie explained different things about the wines, the cheeses and the science of what was going on with our taste buds and about why we were noticing different things. He was also more than willing to answer all matter of questions. For example, I asked about the selection of glassware, especially the fact that the Chardonnay was in a balloon glass. The most delightful part of the tasting was the Ah-Ha moments each of us experienced. My personal Ah-Ha came when I had a mouth full of wine and cheese and I was clearly trying hard to notice the taste differences and Archie pointed to my mouth and encouraged me to swish the wine around. (I had kind of just been holding it in my mouth.) I did as he said and – oh man – what a difference! After swallowing I commented on it and Archie knowingly nodded. I knew immediately that this new “technique” (however simple it is) is something that would change my way of enjoying wine. Talk about a terrific learning experience!! When we finished, I thanked – Archie for turning what could have been a very straightforward wine and cheese tasting into a memorable experience that I’m sure both of us will remember for a long time. P.S. Don’t Forget: Sip & Sizzle continues this weekend and the last weekend of May!